Winter is coming! The changing colours of Tremblant passing from summer green to bright red and snow white are announcing its venue. Just in time for the 2016/17 winter season, tremblant.ca also changed quite much. Maybe have you seen, our website displays a totally new look and offers an improved navigation. If you haven’t visited it lately, you will soon do! With the ski season approaching, we hope you will appreciate our Weather, Status and Webcams section and enjoy it in the following weeks, and even before hitting the slopes. Nonetheless, the redo of our website is more than a new display. It is now entirely optimized for mobile devices, such as smartphones and tablets. 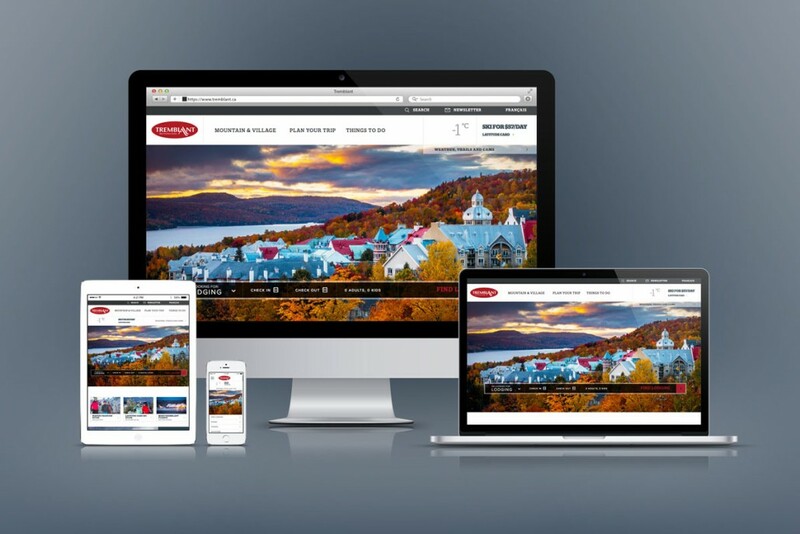 You are more each day visiting tremblant.ca from mobile devices and we wanted to answer your needs, to offer you a greater experience. This being said, we also improved the website for your desktop. Finally, the content was lightened and the navigation was enhanced, for your experience to be faster and better. And, because an image is worth a thousand words, we’ve put our photos upfront for them to shine and for you to reminisce your souvenirs in Tremblant!